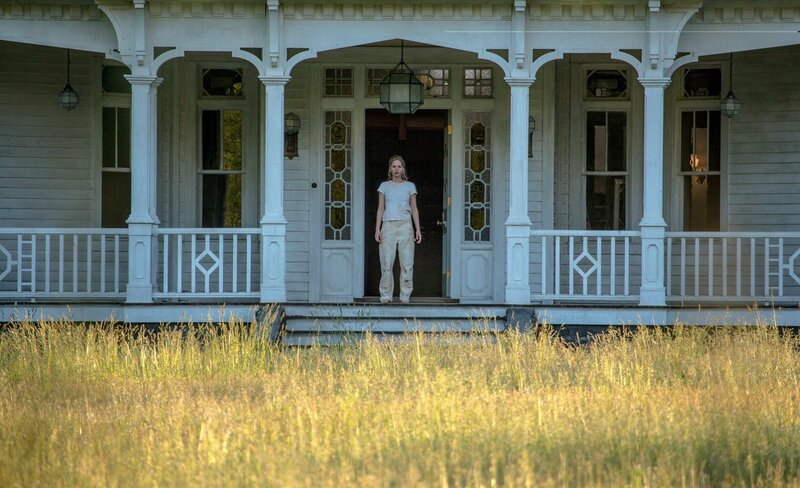 Though the final thirty minutes of Darren Aronofsky's newest film will leave you deeply disturbed for nights to come, his message relating to the women of patriarchal society will leave you deeply disturbed for days to come. “Baby!” a nameless Jennifer Lawrence cries in her first moment on screen. Her husband (Javier Bardem) appears, claiming he was outside. Something is strange in the air, but what? 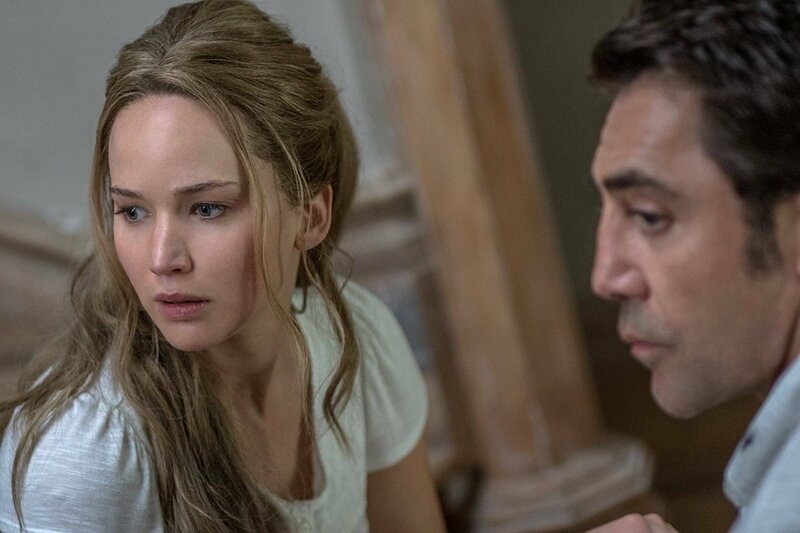 Darren Aronofsky, back to his psycho-thriller roots, has crafted his most extreme, disturbing, and downright sacrilegious film with mother!, a two-hour dive into the mind of the female in a patriarchal society. It’s a great film, but not one without problems, particularly in its heavy handed symbolism and mixed pacing. mother! follows a woman credited only as Mother. She spends all day painting and refurbishing the once burned down house of her poet husband as he struggles to write. One normal day, a man shows up at the door and is invited in by the husband, and from then on, everything starts to fall apart. 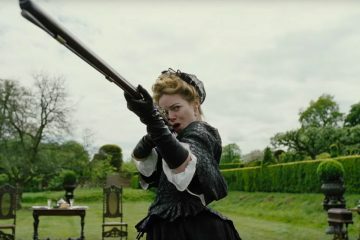 The film is more importantly a critique of the treatment of the “traditional” woman in a male-dominant world. Mother—who is never seen outside of the house—cooks and cleans and inspires and gives, but is never appreciated; in fact, it’s her husband, the one who reaps the benefits of his wife’s work, who gains universal admiration throughout the film. We follow only the perspective of the female, never leaving her side. She’s almost solely portrayed in handheld close ups, which creates a layer of distance between us and everyone else in the film. This effect is intentional, of course, for the fact is that she has no true ability to interact with the situation Aronofsky lays out before her; she is but an observer, and the extremely personal cinematography forces us to observe, as well. When we watch events unfold, we always start off with her noticing the action. Sometimes the camera moves inward, but the primary shot of her watching the drama doubles down on the audience being nothing but an audience. It’s an impressive creative decision, and it pays off. The symbolism within mother! is ubiquitous. The film is highly subjective—one’s interpretation will mainly be built off of what one is able to pick up on—but calling it a movie about paranoia (as many have) seems to be oversimplifying it. Honing in on only the fear of Lawrence’s character rejects much of the gender-based imagery Aronofsky pushes onto the viewer. It turns the entire finale, which is without a doubt the craziest half hour I’ve ever seen on screen, into nothing but an emotional state. Without spoiling anything, the climax of the picture is overlain by a key moment in Mother’s life: childbirth. The chaos of what goes on around her is representative of the immense pressure and under appreciation the child will put on her and her place in society. Reducing that chaos down into “paranoia” is borderline criminal. That isn’t to say, however, that the symbolism always impresses. In the last two scenes especially, the allegory of Aronofsky’s work is hammered into the viewer. There are multiple occasions where watershed lines and literal versions of metaphors condense mother!’s deeply layered work into an easy to grasp moral. The other problem is how brutal the pacing can be at times. I’m all for a slow-burn in film, but the pacing fluctuates between that and mile-a-minute lunacy. Most notably in the minutes leading up to the finale, the slow-burn had me wondering when the film was going to end, which in turn removed me from the headspace Aronofsky worked hard to get me in. That being said, I don’t know how this problem could’ve been solved. Had this been a purely thrilling film, I would’ve complained that there was no time to consider the vision! The biggest shock I had in finally watching the movie was the fact that there was no non-diegetic music. Compare that to not only Aronofsky’s other works, but also the percussion of mother!’s trailer, and you’ll find a reversal of tone. The sound design, which is filled with subtle noises in the great quiet of the home, blew me away more than anything else. It was unnerving yet real, and despite how minimalist it seems at times, if you listen closely you can hear just how much is actually going on. The other people to thank for the atmosphere of the film are the actors. Lawrence and Bardem lead the show, needless to say, but the supporting cast do superb jobs, too. Ed Harris and Michelle Pfeiffer use their limited screen time to amp up tension, and Stephen McHattie as a character only called “Zealot” will remain ingrained in my mind for nights to come. All of it boils down to Darren Aronofsky, the man behind the curtain. From the audience, you can feel the passion he poured into directing this movie. He took ideas so horrid and disturbing that they make A Clockwork Orange seem like the feel-good movie of 1971 and turned them into pure art. And no matter how downright revolting some of the imagery is, this is a very thoughtful film. It’s a movie that faces our worship of men and confronts it head on. It portrays a woman who gives and gives and gives, only to have her husband be the admired one, causing her to give even more than that. She gives it all and receives no benefits quite simply because her accomplishments can’t be turned into money, or published in a journal, or turned into a book. She works harder than anyone else, yet crowds of people swarm her husband for one poem he managed to write. Mother! doesn’t offer solutions, but it faces a truth that we still have trouble fighting. I liked the film, but unfortunately the pacing issues and often over-the-top symbolism force me to have trouble loving it. It does so much brilliantly, however it just can’t seem to hit the film fundamentals. It deserves to be seen, but only if you can handle it. Now I’m going to go call my mom and give her a quick thank you. Jacob is going into his sophomore year as a film studies major at Loyola Marymount University in Los Angeles, California. He watches a movie a day and writes about them in his free time.